Roscoe, Illinois – Forest City Gear has hired Bob McClain as Quality Assurance Manager to oversee the activities of the company’s world-class Quality Lab and manage all its company-wide quality systems for aerospace, medical and other precision gearing applications. 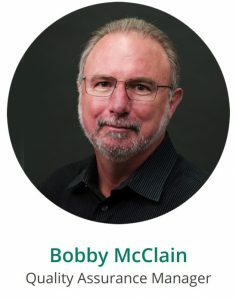 Mr. McClain brings a wealth of quality program management experience and a deep familiarity with precision parts manufacturing for the aerospace, military, automation and other industrial markets. He will be instrumental in ensuring that Forest City Gear has the infrastructure, systems and supplier network in place to meet the very highest quality standards increasingly common to the precision gear projects that the company is renowned for, says Forest City Gear President and CEO Wendy Young.